MAMMOTH LAKES, Calif. (April 2, 2009) - One of America's greatest Olympic champions, Andrea Mead Lawrence, passed away at her home near Mammoth Mountain, Calif. at the age of 76. A three-time Olympian, she played a pivotal role in establishing the United States as an alpine power against the traditional Europeans and Scandinavians, winning two gold medals in the 1952 Olympic Winter Games in Oslo. She grew up skiing at Vermont's Pico Peak and competed in the 1948 Olympics at just 15. 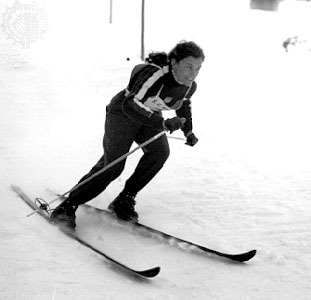 In 1952, she captured both the slalom and giant slalom, following in the footsteps of teammate and double medalist Gretchen Fraser from 1948. She is generally credited as having ushered in the modern era of alpine skiing in the Olympic Winter Games. "Andrea Mead Lawrence was one of the most respected champions of all time," said U.S. Ski and Snowboard Association President and CEO Bill Marolt. "As a teenager, she led by her example of perseverance in never giving up. Nearly a half century later, she remains a distinguished role model for today's athletes." Lawrence took slalom gold by winning the second of two runs by a remarkable two seconds – after she had fallen in the first. Her effort later earned her recognition by noted Olympic film producer Bud Greenspan as his number one Winter Olympian. She made it three Olympics in 1956, finishing fourth, just one spot away from a bronze, in Cortina. Throughout her life, she has remained one of America's most foremost spokespersons for her sport and the Olympics. 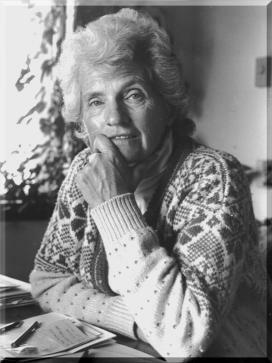 She was inducted in the U.S. National Ski Hall of Fame in 1958 and was recently nominated by the USSA for consideration for the U.S. Olympic Hall of Fame.